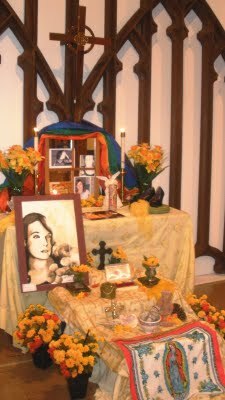 Community Alter installation celebrating the life of a local young transwoman. Community members brought in items to share, told stories and items were then placed on the altar. Gallery 360, Little Rock. 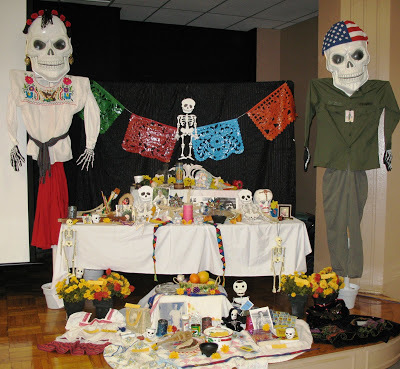 Installation and lecture for Dia de los Muertos exhibit. Community was invited to share stories and add names of loved ones. 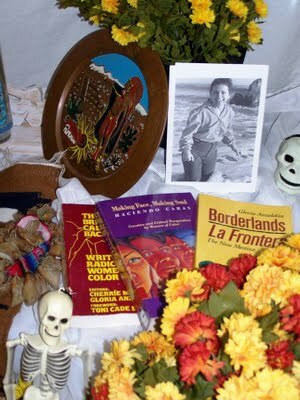 Installation celebrating Chicana writer Gloria Anzaldua and her work. Detail image. 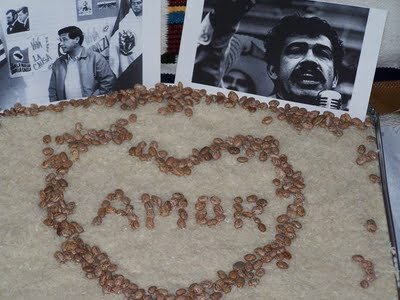 Farmworkers and Chicano Civil Rights leaders remembrance. Featuring Cesar Chavez and Corky Gonzales. Detail image. 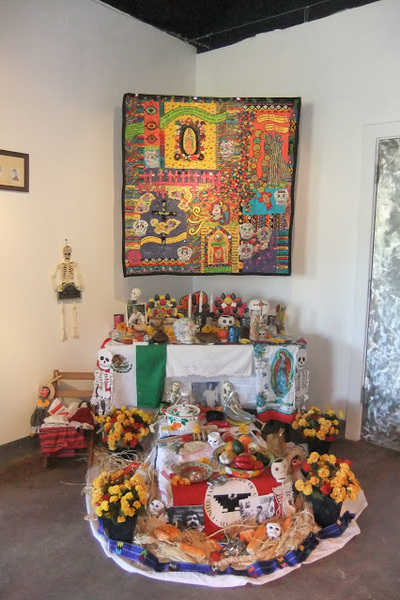 Installations of offrendas (offerings) or altares (altars) in various public and private spaces serve to honor and educate. They are set up to remember and celebrate the memory of ancestors, community leaders, public personalities, and or personal friends and family members. I offer workshops and lectures on the traditional and contemporary ways we honor loved ones. Traditional symbols and items used and how to create your own altar are included in the workshop. 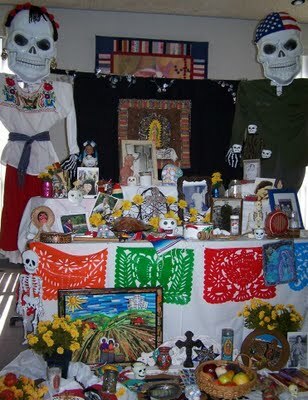 I am available to set up an altar installation for educational purposes at schools, galleries, organizations and public spaces. Please contact me for more information and availability.